The following manuals may be purchased at your local county Rutgers New Jersey Agricultural Experiment Station (NJAES) Cooperative Extension office. Be sure to call first to check availability. Manuals are not sold at the Rutgers Cooperative Extension Gloucester County or Hudson County offices. 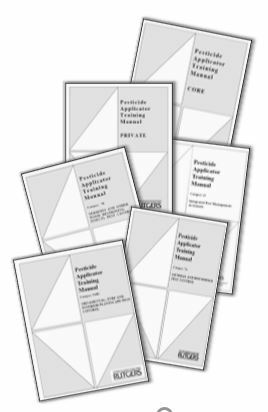 If you you need assistance with locating a County office that carries the Pesticide Applicator Training Manuals, please contact our office at 848-932-9802.